Update: In February and March 2017 I returned to Escuela Falcon in Guanajuato for three weeks, taking a mix of private and group classes. It was as welcoming and warm a place as ever, and I made many new friends and reconnected with old ones. The school is receiving record numbers of students due to the rave reviews it received under the previous director. Unfortunately, the unprecedented influx of new students coupled with staffing turnover meant the school was experiencing some growing pains with regard to lack of classroom space and challenges around organization. However, Escuela Falcon recently hired a promising new director to address these issues. I feel that it is still a very good place to study Spanish. In March 2016 I spent four weeks learning Spanish at Escuela Falcon in Guanajuato, Mexico. I had been doing online lessons and self-study to brush up my rusty language skills but wanted to do an immersion in a Spanish-speaking country. Typical street, San Miguel de Allende. Mexico is easy to fall in love with. I spent some time debating what country I wanted to study Spanish in. I considered Colombia since it’s famed for having a beautiful, clear Spanish. However, I couldn’t find any language schools there that truly impressed me. I also seriously considered Guatemala. Guatemala has a lot of schools with a great reputation, costs are much lower than Mexico, and classes are one-on-one, which I prefer. I still plan to study Spanish in Guatemala at some point, but on this trip I chose Mexico since I wanted to visit the colonial cities of the northern central highlands. As a fifteen-year-old, I spent a summer on a language exchange in Veracruz and fell in love with Mexico. To me, Mexican Spanish sounds the most clear and natural and is the easiest for me to understand, since I’ve traveled to Mexico multiple times and most of the Spanish-language media I consume is produced there. I also love the colorful Mexican slang and expressions. ¡Órale, güey! I did an Internet search for Spanish schools in Mexico and browsed recommendations in forums, noting school names. Next, I searched for reviews for each school to ensure it was still in business and get perspectives from former students. 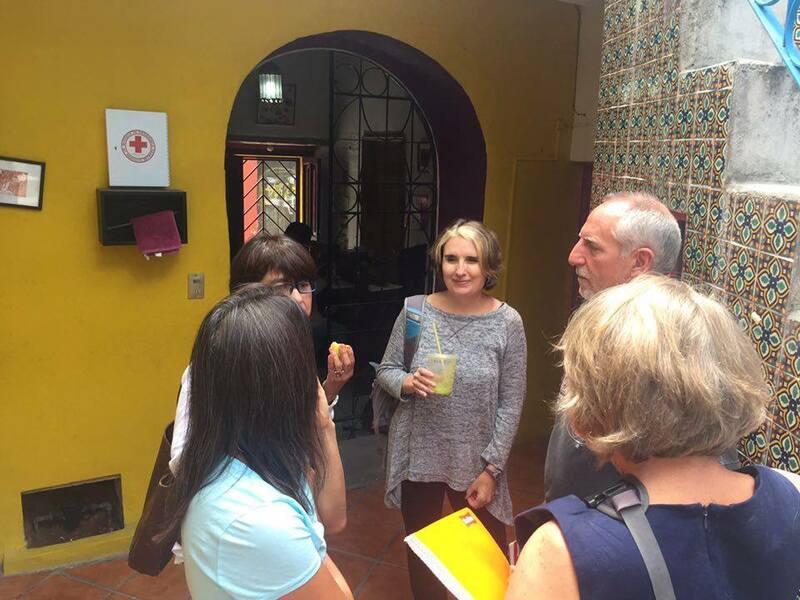 A couple of Mexican schools had rave reviews on TripAdvisor: Escuela Falcon in Guanajuato and Spanish Institute of Puebla. Both Guanajuato and Puebla appealed to me as places to study Spanish. SI Puebla operates on a three-week schedule with its group classes and also strongly recommends six hours of instruction a day, with four hours of classroom instruction in the morning and two hours of conversation in the afternoons. The three-week schedule did not fit my plans since I wanted to take four weeks, and I was concerned six hours of class a day might be too many. I chose Escuela Falcon with four hours of class a day which ended up being perfect for me: enough to keep me challenged and busy but not overwhelmed. As a nice side benefit, Escuela Falcon was also the least expensive by far of the schools I considered, although this was not a major factor in my decision. Update: I visited SI Puebla later while passing through the city after my studies in Guanajuato. Coincidentally, the school’s director was also my Airbnb host. He graciously showed me around the institute and I was really impressed by the philosophy of the school. It’s a very serious, focused place to study Spanish, which appeals to me. I could see that six hours of instruction might not be too much since two hours are unstructured conversation classes in the afternoons. 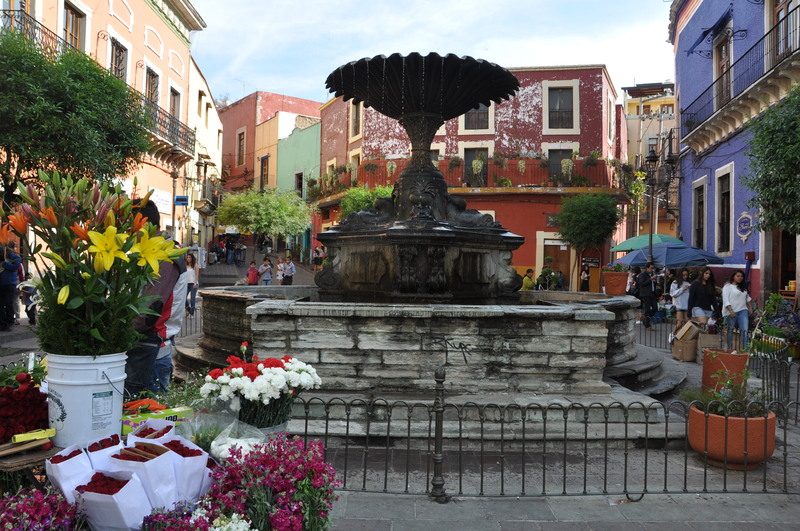 Puebla is a beautiful, fascinating city and I’d love to spend more time there. I also got a tour of Baden-Powell Institute while in Morelia and really liked it. Morelia is a lovely place with few foreigners and a great place to study Spanish. Both SI Puebla and Baden-Powell are on my list of possible future schools to attend. Guanajuato turned out to be a great location to study Spanish. It’s stunningly picturesque and I loved exploring its cobblestoned alleyways and lovely tree-filled plazas. Guanajuato has enough extranjeros to allow you to meet interesting like-minded visitors and expats, but it’s not completely overrun with norteamericanos like San Miguel. Locals always spoke to me in Spanish and I had plenty of opportunities to practice my language skills. As a university town, Guanajuato offers an incredible variety of inexpensive or free cultural events and colorful festivals. There are a number of excellent museums and historical sights to explore on weekends, as well as interesting day trips like Dolores Hidalgo or San Miguel de Allende. 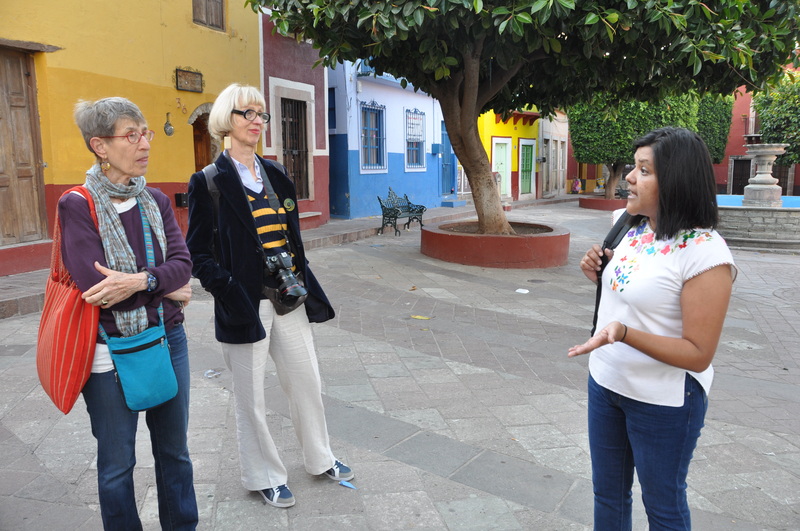 Guanajuato is small enough that everything in the center is accessible on foot, making it easy to attend events or meet friends. Escuela Falcon has rave reviews on TripAdvisor for good reason. It’s a small school with a dedicated staff that works hard to ensure each student has an experience tailored to their individual interests. In addition to standard classes like grammar and conversation, you can take electives like Mexican cooking, Latin American literature, salsa dancing, or muralism — all in Spanish, of course. 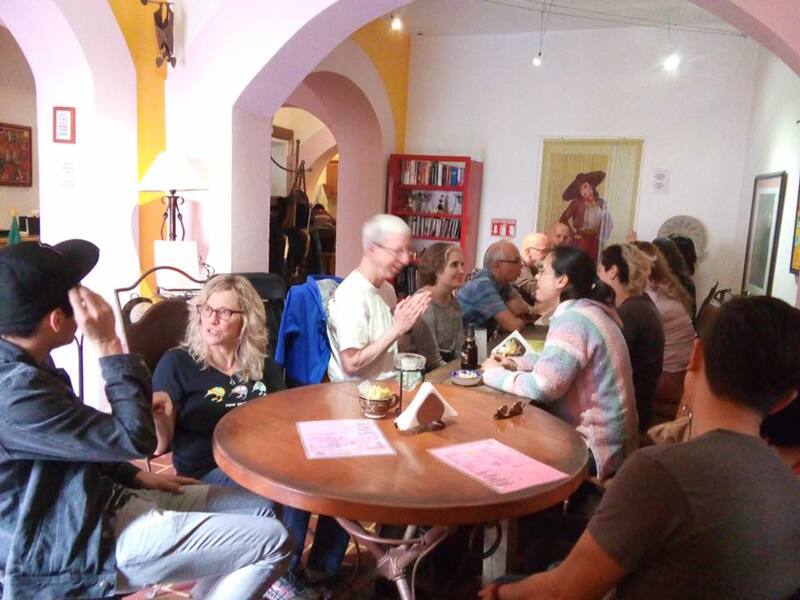 EF organizes an extracurricular event every day, such as a field trip, an intercambio (language exchange) with local university students, or a language workshop. The activities were always diverse and interesting and added a lot to the experience there. It was easy to make friends at EF. The other students were friendly and interesting and from all over the world, although the majority were from the United States or Canada. The host family I was placed with was friendly and kind. I learned so much about Mexican culture and food by living with them, and our conversations really helped improve my Spanish. I appreciated that they gently corrected me when I made a mistake. I got the sense they cared about me as a person versus just as a paying guest. I took group classes during my four weeks at Escuela Falcon, although a few of my classes ended up being privates by default since there were no other advanced students in those classes. Group classes are less expensive, and I formed some great friendships with my classmates. However, I often felt it was hard to get the speaking time I wanted, especially when there were other students in the class that tended to dominate the discussion. I found I learned best and most efficiently during one-on-one time with my teachers. Based on my experience, I think next time I will invest the extra money and take private classes. I will probably cut back to three classes a day instead of four, though, since privates are more intensive as well as more costly. My plan is to maintain my Spanish with at least one stint at a language school each year. In fall 2016 I studied for two weeks at AIL Madrid in Madrid, Spain. Update: In 2017 I studied at Livit Immersion Center in Puebla, and in 2018 at La Calle in Mérida, Yucatan (read my reviews by clicking on the links). 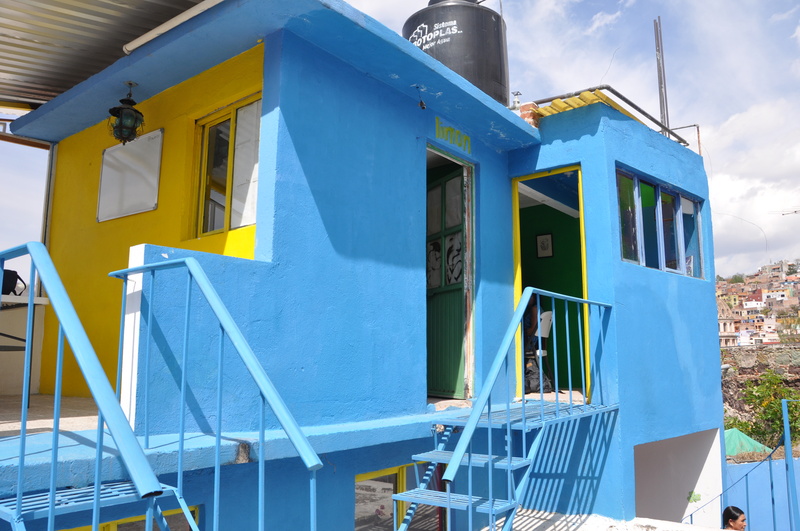 Other top candidates for future visits include Instituto Jovel in San Cristóbal de las Casas, Chiapas and Habla in Mérida. Note: My blog does include ads, but I never accept compensation or freebies for my content. If I recommend a business, it’s because I loved them and think you will too. Have questions about studying Spanish in Mexico or a Spanish school recommendation? Please share your feedback in the comments. Thanks, Ingrid. This was both interesting and informative. Gives me some good things to think about if and when I pursue doing something similar. I enjoyed meeting you at WordCamp, even though our conversation was in English. Thank you for sharing. I am planning to bring my 5-year-old to Mexico to learn spanish this summer and Escuela Falcon is on top of my list. Thanks for such a great review of your experience and the school. Really helpful! I was as Escuela Falcon for 3 weeks while you were there in 2017. A couple years before I spent a month studying Spanish in Cuenca Ecuador and it was fantastic. The city situated on a hill above a river, is great, colonial style, beautiful and has many cultural events from indigenous dancing and museum, to classical concerts, a Jazz club, bicycle rides and so much more. Nearby are fantastic places to explore including the diverse ecotypes of the paramo, tropical rain forest, the ring of fire volcanic areas to the beaches. Due to a fairly large ex-pat population there are great coffee houses, bars and restaurants. At 8400 feet and almost on the equator the weather is nearly perfect all day and night. There was often about 10 minutes of refreshing rain some time the afternoon but it was alway warm. There are many language schools in Cuenca. I had private lessons at Yanapuma school and thought it was fantastic. Hi Ron, nice to hear from you, and thanks for the recommendation! I agree, Cuenca is lovely and seems like a great place to study Spanish.